Edna Pontellier, 28-year-old wife and mother of two, is summering with her family at Grand Isle as they, and so many other wealthy New Orleans families, have done for a number of years, when her thoughts and feelings begin to make her question the life she has chosen. In the late 19th century, Edna's path was quite set from the moment she was born. A young woman was expected to play a little piano, to paint a little, and to learn to become the wife and mother she was destined to become. Nothing more was to expected, nothing more was to be hoped for. But Edna had never fit the mold. She didn't marry her husband, Leonce, because she was in love with him; in fact, she appreciated not being in love with him. She married him for dignity, because he loved her and because her family did not approve. When the boys are young, though, Leonce begins to believe there is a shortcoming in his wife; he can't name it but knows that she's not a "mother wife." In this, he is right. Edna loves her boys, but more in the way that an aunt would rather than a mother. At Grand Isle, Edna begins a flirtation with one of the sons of the owner. Robert LeBrun attaches himself each summer to one of the women staying at the resort but the women never really take him seriously. It is not until Robert leaves for Mexico that Edna realizes how deep her feelings for him have become. Her "mantel of reserve" has been loosened and once the family returns to New Orleans it becomes obvious that Edna is unable and unwilling to go back to life as she has known it. As someone who is something of a modern day "mother wife" (I stayed home for a dozen years to raise my children), I had a hard time connecting with Edna at first. But I also had to acknowledge that doing that was my own choice, a choice I could quite easily not have made. A choice Edna did not have. When Kate Chopin wrote this book, it was considered quite shocking. After all, Edna eventually abandons her family and carries on an adulterous affair, something that would even today raise eyebrows. Today, it's considered a major achievement. Chopin has populated this story with a wealth of characters representing all facets of life in this time period. Edna's friend Adele Ratignolle is the epitome of what a wife and mother was expected to be at that time. Mademoiselle Reisz, a single woman pursuing her own passion without regard to convention, becomes Edna's role model. Leonce is a man who loves his wife but thinks of her as not much more than a possession. The secondary and minor characters in the book are all in place for a reason, making it a book that is ideal for teaching. But this story is much more than a lesson. 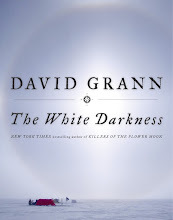 It is a beautifully written work that is every bit as relevant today as it was more than 100 years ago. It's been a slow reading week for me. My parents were with us one night and my son was in town another; I had the idea that perhaps it would be rude for me to ignore them and read while they were here! This weekend has been busy: Friday was The Big Guy's birthday, Saturday Miss H and I had to head out of town for a baby shower and today The Big Guy and I headed back out of town to go usher at the Community Playhouse with my parents. Yesterday Mini-him was here again and so we had an impromptu family movie night and all watched "Inception." Then Miss H and I watched "Eat, Pray, Love." I did finally finish The Center Cannot Hold by Elyn Saks. It's the story of living with schizophrenia and to say that it scared the wits out of me would be an understatement. It's actually been one of my "mom fears" that one of my children would develop schizophrenia but it was really my boys that I was the most worried about. Now I've got to worry about my daughter, too! I've got absolutely no books I "have" to read for review for February. I'm hoping to use the month to read books for challenges and the goals I've set for the year. I'm putting together the stack of books I want to read for March, a month I've designated as Mystery March. I've managed to talk The Big Guy into reading one or two mysteries with me as well. Hmm, it's just occurred to me that my parents both enjoy mysteries/thrillers so I'll bet I can talk them into reading and reviewing a couple of books as well. Right, Mom and Dad? 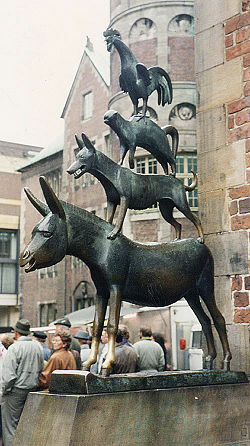 Once again I'm returning to the stories of the Brothers Grimm this week with the tale of The Bremen Town Musicians. In this tale, a donkey, who has gotten too old to be of use to his master any longer decides he needs to strike out on his own before his master cuts him loose. He decides to head to Bremen where he hopes to be a town musician. Along the way he comes across a a dog, a cat and a rooster all of whom have also outlived their perceived usefulness. The quartet agree to travel together, hoping to all become musicians. Along the way, they stop to spend the night under a tree. But when the rooster spots a house and they all decide they'd prefer to stay there. When they look in the window, they see a group of thieves enjoying a fine feast and decide they'd like to be there. Working together they crash through the window scaring the thieves away. Later that night, one of the thieves returns. Startling the animals, the thief is attacked by each of the animals in turn but never really sees what he has been attacked by. When he returns to the rest of his band, he tells them he has been attacked by a "gruesome witch, and I felt her breath and her long nails in my face [the cat]; and by the door there stands a man who stabbed me in the leg with a knife [the dog]; and in the yard there lies a black specter, who beat me with his wooden club [the donkey]; and above, upon the roof, there sits the justice, who cried, "bring that rogue here!" [the rooster]. Needless to say, the thieves never returned and the animals enjoyed the house so much that they never went on to Bremen. So many fairy tales are little more than stories but this one clearly has a lesson, one that, with our aging population, is more important that ever. While those around them felt that these animals were too old to be of any use, they decide to head for Bremen, which was known for its freedom. They knew they still had value. And their ability to take care of themselves against the thieves, proves that. I paired the Brothers Grimm version of this story with Joyelle McSweeney's play The Warm Mouth (from My Mother She Killed Me, My Father He Ate Me). McSweeney takes the structure of The Bremen Town Musicians and uses it to "take up the problem of shelter, including the body as a king of failed shelter." McSweeney populates her play with characters that reflect their setting in the Michiana area of Indiana that includes the town of Bremen. When I tell you that the figures in this play include road kill, a starving boy, a murdered girl and a shot up dog you'll get a good idea of how much darker this modern fairy tale is than those to which we are accustomed. A word of caution to the squeamish, this tale is very gritty and very raw as you might imagine. Thanks to my Dad for another great guest review! The very interesting thing about this book was that it was a gift for my father from my niece who is dating Jack van der Geest's grandson. He was telling my dad about his grandfather, which of course piqued his interest. When he mentioned that his grandfather had written a book, my Dad knew he wanted to read more. 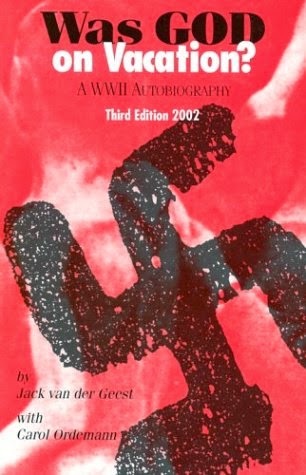 van der Geest Publishing and Distribution Co.
Mr. van der Geest took the title for his book from a question he heard posed by one of his fellow prisoners in the notorious German concentration camp, Buchenwald, during WWII. Starved, beaten, dehumanized, and near death, the prisoner wondered aloud about the divinity whose watchful eye he had always believed was on him. How could such horror be allowed to happen to him and all those others? We don’t know if that unnamed sufferer survived, but van der Geest himself eventually was one of the handful of people known to have accomplished the almost impossible feat of escaping that hell-hole. He did it by feigning death at roll call one morning. The guards removed his emaciated body from the wooden shelving on which prisoners slept, and tossed it on a pile of corpses. He lay there amongst the dead for eleven hours, waiting for whatever opportunity might some along and be possible for a man wasted away to less than a hundred pounds. When that moment came, he managed to kill a guard, put on his uniform, commandeer a truck, drive out the gate, and eventually make his way across the border into occupied France. But that’s only one of the harrowing experiences set out in this autobiography. Van der Geest tells of how it came about that a young gentile in the Netherlands fell into the clutches of the Nazis in the first place. After his escape, he worked for a while with the French underground and then with the same activity in his native country. His fluency in several languages landed him a spot in the US military, which led him into the 101st Airborne, parachuting into Normandy on D-Day, and being in Bastogne as the Battle of the Bulge raged around that besieged town. There’s much more, but van der Geest and his ghost writer are spare stylists so the book is rather small (180 pages) and it wouldn’t behoove a reviewer to tell the whole story and spoil it for any potential reader. Suffice it to say, this was one of the most remarkable and praiseworthy life stories I’ve encountered in years of reading autobiographies and biographies. Tribute to that life was given in 2009 when the State of South Dakota and Rapid City (where he lived for his last 55 years) held “Jack van der Geest Day” marking the 66th anniversary of his escape from Buchenwald. After his death, two days following that special distinction, the South Dakota State Senate issued a resolution honoring him. In the mid-19th century there was a resort, Tawawa House, in Ohio where slave owners vacationed with their slave mistresses. The beautiful cover of this book might lead readers to believe that this was a place where these women lived a life of leisure and pampering, quite different from their lives on the plantation. Such was not the case. While there was perhaps slightly more leisure time, these slaves were still expected to keep the cottages they and their masters stayed in clean, still expected to service their masters, and still beaten for any infraction. Although Ohio was not a slave state, the slaves that journeyed to Tawawa House knew they risks for attempting to escape were nearly as great as if they tried to run away from their plantations. In Wench, Perkins-Valdez introduces the reader to a group of slaves and their owners who regularly travel to Tawawa House in the summers. Rennie, the oldest, is also the saddest and the most resigned to her lot in life. Sir, her owner, is also her half brother, a man who is willing to trade her services for other pleasures. Sweet is the youngest and pregnant when we first meet her. Despite her pregnancy, Master does not hesitate to beat Sweet when he sees fit and because of her pregnancy and the four other children she has left on the plantation, she is least likely to make a run. Lizze, actually loves her owner, Drayle, and believes that he will one day free their children if she just treats him the right way. When Mawu, a red-headed, freckled slave comes into their midst one summer, she makes them all question their lives and begins to put thoughts into their heads about a different life. Her owner, Tip, is by far the most vicious of the owners and when he finds out that Mawu is contemplating running away, he viciously beats her in front of the other slaves. Instead of causing them to give up on their ideas of freedom, it drives the slaves to contemplate just how close they are to freedom and to question just how much they would be willing to give up to have it. From the moment I first heard about this book, I knew I wanted to read it and the rave reviews it got only made me want to read it more. By the time I finally did read it, I was concerned that it wouldn't be able to live up to my expectations. Wench more than met my expectations. Perkins-Valdez does a remarkable job in her debut of bringing these women to life and of exploring the complicated relationship between slave owners and their mistresses. Heartbreaking and hopeful at the same time, you can't help but imagine yourself in these women's positions. Would you be able to give up your children, risk what might happen to anyone you cared about if it meant that you could leave a life of abuse and control? Thanks to TLC Book Tours for including me in this tour! For more reviews of this book, see the full list of tour sites. As you can see from my past couple of posts, I've spent part of this weekend working on this blog. Some of it is all but invisible to visitors (kind of like cleaning out the linen closet in your home) but I also ended up making big changes to the design of the blog. I spent hours Friday evening and Saturday morning cleaning up my tags. They are much better but after I had gotten about 2/3 of the way done with them, I decided I should have done them a bit differently. Maybe next bloggiesta. Then it was time to fix the header, something that's been bothering me since the last design change. And that's when it all blew up on me. By the time I got the new design set up, I was so frustrated I decided I was done with bloggiesta for this year. 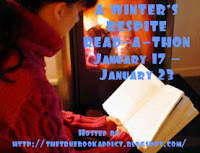 I also participated in The True Book Addict's "A Winter's Respite Read-A-Thon" this past week. I did better on that. I read one book, several Edith Wharton short stories, two fairy tales, and got about half way through another book. Tuesday a smaller than usual group of the Omaha Bookworms met to discuss Outside The Ordinary World with author Dori Ostermiller (we had gotten just enough snow just late enough in the day to make the roads a bit dangerous). We always enjoy getting to pick the author's brains about the books but this time we really spent a lot of our Skype call talking with Ostermiller about a wide range of writing topics including the genesis of this book, her writing process, what she's working on know, what it's like to work with an editor. For February we're reading Jane Goodall's Harvest for Hope, recommended by one of our members who's very knowledgeable about the food we eat. It's definitely out of our usual comfort range but should generate a great discussion. Coming up this week are reviews of Wench by Dolen Perkins-Valdez, reviews of the three Edith Wharton stories, and another guest review from my dad. I can't wait to tell you the story behind this book! And, of course, Fairy Tale Fridays! Oops! This is what happens when you try to play with your design. I tried out a new header and it wasn't the right size. So I decided just to go back to what I've been using until I had time to play some more. The problem? My original design no longer seems to fit the space. No idea how that happened. So my webmaster (aka Miss H) will have to help me tomorrow! To quote Monty Python "and now for something completely different." Spent a ridiculous amount of time trying to get my header fixed and nothing is working. Tried to download a previous version, and got an error message. So Miss H and I have worked out something entirely new for the time being. Until I figure out how to get that header back. Or go to Wordpress which is a distinct possibility after all of this fighting with the header! It's Bloggiesta Time - Ole! Nastasha, of Maw Books, is once again hosting the Bloggiesta. This is a weekend for bloggers to work on their blogs--cleaning things up, making changes, meeting new bloggers, getting posts ready, setting goals. The best part of doing all of these things this weekend is that so many other bloggers are ready and willing to help. My plans usually include cosmetic changes but I'm not sure if I'm going to make that many changes this year. I do want to do some work on my header and I'd like to get a page put together of all of the books I've read (although that may take more time than I'm willing to spend just now). I do plan to do some of the mini-challenges, including one that will help me figure out how to use Google forms (I get so frustrated by them now!) and one that will help me make banners and buttons. Also going to work on my cleaning up my tags and taming my Google reader. Now I'm off to figure out where to start! Back in September, when I told you that the book My Mother She Killed Me, My Father He Ate Me had arrived on my door step, I explained that the title of the book came from the Grimm Brothers fairy tale "The Juniper Tree." I had actually forgotten that when I chose that story for this week's Fairy Tale Fridays, so I was excited when I started reading the story as told in "Grimms Complete Fairy Tales." In The Juniper Tree, a man's first wife pricks her finger below a juniper tree. When she sees the blood drop into the snow, she wishes for a child as red as blood and as white as snow. Nine months later she gives birth to a son but is so overcome with joy that she dies. Her husband then buries her under the tree. Years later, the man has remarried and he and his new wife have a daughter. The woman dearly loves her daughter but hates her step-son and abuses him regularly. One day as he reaches for an apple she has offered him from a large chest, she drops the lid on his neck. When she realizes that the lid has chopped off the boy's head, she scrambles for a way to hide her guilt. Using a handkerchief to hide the wound, she places his head back on his neck and sets him outside of the house with an apple in his hand. His sister, seeing the apple asks him for it but gets no response. Her mother tells her to ask him again and if she gets no response to give him a box on the ear. Of course she gets no response and is alarmed when his head falls off. Her mother tells her that to protect the daughter they must hide what she has done. Her solution? She cooks up the son into a meal that she then serves her husband who loves it so much it gobbles it all up. The daughter, who loved her brother, takes his bones and buries them under the juniper tree. Shortly the tree parts, and amidst a cloud and fire, a bird flies up from the tree. The bird flies off and begins singing a song in a nearby village which is so lovely that people are willing to give the bird things to hear the song again. Once the bird has the things he wants, he flies back to the house and lands in the tree and begins singing. The father goes out to hear the bird and the bird drops a gold necklace over his head. When the sister also goes out to listen, the bird drops a pair of red shoes for her. But when the stepmother finally dares to come outside, the bird drops a millstone on her head and crushes her. Then there was another cloud, another fire, and the bird disappeared and the boy reappeared. And just what was the song that so entranced everyone? And laid them under the juniper tree. To pair with the original telling, I read Alissa Nuttings adaptation "The Brother and The Bird" from My Mother She Killed Me, My Father He Ate Me. Nutting stays very true to the original story but give it a fresh slant. In her take, Nutting makes the stepmother a cleaning fanatic who skulks around and whispers, frightening even her own daughter. The father loves his children but is "aloof" and clearly still obsessed with his first wife. This time the mother kills her stepson by smothering him with a pillow and a Bible. Seeing that he has died, she forces her daughter to help her chop up his body, package up the pieces and put the body into the deep freeze. Then she begins serving her husband sauerbraten made with his body, meals that her husband loves. 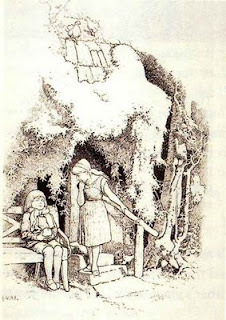 The daughter is so appalled that she sneaks the rest of her brother's body out and begins to bury it under the juniper tree. Again the tree magically transforms the body. This time the daughter begins hearing flapping noises that soon begin to be heard on the radio as the family listens at night followed by Nutting's take on the song above. This eventually drives the mother insane. When the son returns in his new state, the stepmother runs out to chop down the tree and try to kill him again. But the tree takes its revenge and the son is returned to life. Nutting says that in her retelling she wanted to "retain not only the father's ignorance but also the original source of hope for the murdered brother, his sister..." She was fascinated by the Grimm Brothers tale as a child and still finds the story relevant. This tale has everything I love in a fairy tale, a wonderful beginning (in the Brothers Grimm version the story started "A long, long time ago..."), a wicked stepmother (who not only kills her stepson, but also feeds him to his father and implicates her daughter in his death), and an ending where the bad person gets hers but even then the ending is not altogether happy. In 1964, the Presidium of the USSR and the Communist Party Central Committee ousted Nikita Khrushchev from leadership of the nation and the party. He might have expected he’d be tried and shot, as had been the fate of thousands of prominent people. Instead, however, he was pensioned off and exiled to his home in Moscow and his dacha in the country. He lived the remaining seven years of his life, in typical Soviet fashion, as a “nonperson,” omitted from the records and the histories, and was watched over by security guards. In 1966 he began to write his memoirs. The new leaders disapproved of his take on them and on the dramatic events of his life, but a copy was smuggled out to the West and published under the title KHRUSHCHEV REMEMBERS. 1. Khrushchev’s real dedication to an ideology that, from our side, seemed specious: “The way I looked at it, if someone carried a Party card and was a true Communist, then he was my brother --- he was really more than that. We were bound together by the invisible threads of our shared belief in the lofty struggle. The building of Communism was something almost sacred to me.” The book contains enough similar comments to persuade me that, as is true with Americans and capitalism, he simply didn’t see --- or want to see --- any flaws in his system, and truly believed it was the best thing for the working people and the future. However, when his account gets to the years in which Nikita Khrushchev himself has risen to a powerful position, he treats this matter with much more sensitivity because now it was he himself who sometimes crossed Stalin and had reason to be frightened for his own life. And he never makes any reference at all to the numerous killings he ordered when he was given the task of putting the Ukraine back on its feet after the devastation brought to it by WWII. Though he admired Stalin for many things, he lays the blame for mass murder on Stalin and on his henchmen, chiefly Lavrenty Beria (whom, you might remember, Khrushchev and the other men involved in the so-called “collective leadership” after Stalin’s death feared so much that they quickly ordered arrested and disposed of). 3. His reporting on WWII, the Berlin Blockade, the Berlin Wall, the Korean War, the Cold War, Viet Nam, the Bay of Pigs invasion, and the Cuban Missile Crisis as seen from a very different perspective than my own. For example, he says his decision to put Soviet missiles in Cuba in 1962 had two purposes. One was to deter the U.S. from following up the Bay Of Pigs invasion with a better planned, better equipped, and more successful effort against his little ally in the Caribbean. The other was to restore some balance in the mutually-assured-destruction standoff, given that we already had missiles in Germany, Italy, Iran, and Turkey that were aimed at the USSR. We’d have scoffed at that explanation back in the years when we were conditioned to believe that any conflict between us and the USSR was simply caused by a wicked Communist effort to conquer and enslave us. And that’s certainly not the motivation attributed to him by our leaders then! 4. His evaluation of American leaders. For instance, he dismisses Truman as worthless. He says Eisenhower was sincere, but cites things he was aware of that convinced him the general was a mediocre military leader and a none-too-bright President. He says Nixon was shrewd, but didn’t like him. Kennedy he rather admired. Nikita Khrushchev led a remarkable life during remarkable times. Being clever enough, brutal enough, deceitful enough, and lucky enough to have survived wars and purges when millions around him were dying, and eventually rising to leadership over the whole vast Soviet empire, was an extraordinary accomplishment, especially for a man born a peasant and without a background of more than a few years of formal education. This book is not an easy read, but I found it fascinating. Edward Crankshaw, who was a correspondent for The Observer, assembled and organized what were written as separate reminiscences of separate events and also provided an introduction, commentary, and notes for the book. He didn’t see it as his role to debate with Khrushchev, point by point, but he does provide enough information that those as poorly informed as I found I was can see and understand instances in which the author was being forgetful or misleading. There are also appendices that provide helpful information on important men and on Soviet terminology. 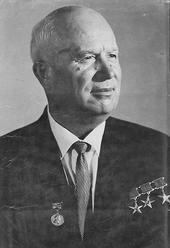 He also provides many photographs of Khrushchev and of the people of whom he wrote. I found all that very helpful. Thanks to my dad for another great guest review! Yea! Another read-a-thon and another excuse to read as much as I want to. Which in a cold week like the one we're expecting is really all I'm going to want to do anyway. Michelle of The True Book Addict is hosting the Winter's Respite Read-A-Thon which started at midnight on Monday and runs through the 23rd--at which point I'll switch over to playing with the blog for the weekend during the Bloggiesta. My plan is to finish Arti Paasilina's The Year Of The Hare, then it's on to Elyn R. Saks' The Center Cannot Hold: My Journey Through Madness, my fairy tale reads for this week and Jeanette Walls' The Glass Castle. If I can make it through all of that I'll be a very happy girl (okay, maybe not a girl; I think you all know I'm well past being a "girl" but who want to say "happy middle-aged mom?). In the early 17th century, a ship named Sea Venture, on its way to the Virginia colony, was shipwrecked instead on the Bermudas, then known as the Isle of Devils. William Strachey was one of the passengers on the ship and his account of the passengers survival on the island inspired Johnson to write this fictionalized version of events . It may also have inspired William Shakespeare to write his play, The Tempest" as some believe that he may have had access to the accounts of the survivors before they were otherwise published. Elizabeth Persons (an actual passenger on Sea Venture) is the shy, orphaned servant to Mistress Horton, benefactress to the Virginia Company. Both are passengers in a flotilla headed for the Virginia colony. When a hurricane blows the ship off course, destroying much of the foodstuffs on board, the 155 passengers aboard Sea Venture find themselves stranded on the Bermuda islands. As much as can be saved is removed onto shore but it's quite clear there is not enough food unless some is quickly found on the islands. Elizabeth quickly proves herself useful in doing this and despite Mistress Horton's objections, eventually finds herself preparing meals for the survivors on one of the islands. She also finds herself befriending a man named William Strachey who is supposed to be the ship's historian but more often than not seems to be writing other things. She also finds herself the object of the ship's cook, Thomas Powell but Elizabeth has no intention of being any one's wife, ever. What secrets might Elizabeth and William be hiding? And how will the survivors ever make it off the islands? Although sometimes predictable, Johnson has crafted an entertaining look at what life must have been like for those brave enough to risk the trip across Atlantic to an unknown future. The book is well-researched and the descriptions of the islands make it sound like a place the stranded passengers might have preferred never to have left. Johnson has also included enough realism about the kinds of people that might have been on such a ship to give the book some tension needed to offset the lighter moments. The idea that Will Strachey might actually have been William Shakespeare was my favorite part of the book. Honestly, I had a hard time buying into the idea that Elizabeth might become attracted to Thomas given his approach and her initial very vehement refusals. But I know that this kind of thing is also what draws so many to historical romances. And Johnson, with about 40 books published, certainly knows more about what works for lovers of historical fiction that I do. Although I did find some of the story line predictable, I was completely surprised by the ending and found it very satisfying as I did the book overall. 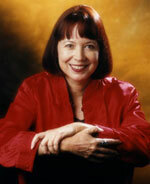 Kathryn Johnson doesn't just write books, she helps others who want to become writers at Write by You. For tips on writing, check out Kathryn's blog. I'm off to a great start reading this year--I've read four books, several short stories and I'm half way through another book on Librivox. And still I can't keep up with the number of books I've added to my wish list already this year. The Weird Sisters by Eleanor Brown was already on my radar but the reviews I've been reading have convinced me that it's one I want to read. Nicole, from Linus's Blanket, reviewed American Uprising: The Untold Story of America's Largest Slave Revolt by Daniel Rasmussen a week or so ago and it ties in so well with one of my reading goals this year that I've added it to the list as well. Anther non-fiction that's been added is The Memory Palace by Mira Bartok which really impressed Michelle, of red headed book child. Thanks to everyone who has responded to my request for books set in other countries or written by non-U.S. writers. I've added several books to the list including Music and Silence by Rose Tremain which was recommended by a friend of my parents who lives in Denmark and which is set in the royal court of Denmark early in the 17th century. Coming up this week are reviews of The Gentleman Poet by Kathryn Johnson and Krushchev Remembers by Edward Crankshaw (a guest review from my dad) as well as a recap of the Omaha Bookworms discussion with Dori Ostermiller of Outside The Ordinary World and Fairy Tale Fridays where I'll be talking about The Juniper Tree (a Brothers Grimm tale) and spin of it by Alissa Nutting titled The Brother and The Bird. What are you reading this week? Has your wish list grown faster than your ability to read, too? A few weeks ago I mentioned that one of my favorite Grimm Brothers fairy tales is Snow White and Rose Red. 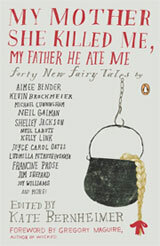 I was excited to find that Lydia Millet had written a new take on that beloved tale for the compilation My Mother She Killed Me, My Father He Ate Me, titled Snow White, Rose Red. Millet launches the story with much of the same detail as the original tale. The two girls have essentially the same names, they are staying in a "cabin" in the woods and they are both very good people. Except in Millet's hands, these are two very rich little girls whose mother is a former Russian ballerina with an eating disorder and mental challenges and whose father is a businessman with almost no time for them. The "bear" turns out to be a man who is hiding from his soon to be ex-wife who comes across them in their yard one day. Just as they do in the original tale, the girls befriend their bear. But in this version there is no angry dwarf that must be slain, it is the girls' own father who has to be dealt with. Just as it can be hard to adapt a beloved book into a movie, it's a risk to take the well-known fairy tales and give them a new spin. I found that Millet had managed to kept just the right elements from the fairy tale I love and created a truly original spin that I very much enjoyed! Millet says that she was inspired to write the story after developing a fondness for landscapes and nature. Finding herself interested in the forests of the Adirondacks made her think of all of the fairy tales set in forests and from there it was only a short leap to this tale. Helen Fairchild's year has not gotten off to a good start. Oh sure, she lives a life of privilege in her "forever" house, but her pillar-of-the-community husband, Merritt, has just been killed at the Rose Bowl parade. By a panda float. Just the night before he had confided to Helen that he was leaving her for another woman so to say that Helen is not entirely grief stricken would be an understatement. The day after the funeral Helen receives another shock when her lawyer, and Merritt's best friend, breaks the news to Helen that Merritt, financial guru, had managed to lose nearly all of their money as well as that of his clients. Now Helen is faced with the fact that she is going to have to start life all over again. She's just not sure how. She has always regretted not finishing that master's degree before she married Merritt and now it turns out that all of the hundreds of hours of volunteering and organizing school and charity events just don't amount to much in the job market. If she sells the house, the artwork and most of the furniture, Helen just may have enough money to send her son to the private high school he has to attend. Pretty quickly Helen learns just how much she can count on her very wealthy mother-in-law for help--not at all. Fortunately Helen knows people and knows people who know people. Soon she's got the best real estate agent in town and a part-time job for the next few months, working for the gorgeous Patrick O'Neill, archaeologist extraordinaire. Throw in a couple of great friends and strength she never knew she had and Helen just might do more than survive. She might just find the happiness that's been lacking in her life for a very long time. Those of you familiar with Lian Dolan will not be surprised to find out that this book is humorous and smart. While Dolan doesn't break any new ground with Helen of Pasadena as far as the plot is concerned, she does take take traditional chick-lit (or mom-lit as one reviewer on the Barnes & Noble site called it) and give it some depth and brains. Helen does not just flounder along following Merritt's death, despite the fact that she often feels that way. She is, after all, an intelligent woman even if life has just thrown her a major curve ball. It's obvious that Dolan is familiar with the Pasadena area and soon the reader feels right at home. You may not mingle with the same kind of monied crowd that Helen does, but you do know these people. I did think that Helen did fall for Patrick a little too quickly but this being chick-lit, it's to be expected. And after the dull life she and Merritt had, despite all of their money and possessions, you really can't help but cheer for her. If you aren't familiar with Lian Dolan, check out her blog, The Chaos Chronicles, and her podcast by the same name, which is recorded in her bedroom closet. I can't wait to participate with the other Manic Mommies next week when we'll be discussing this book with Ms. Dolan! We're settling in today for a battle with mother nature. She'll win, of course, if she's got a mind to and I'll have to slip and slide into work for the next couple of days. But in the meantime, we'll enjoy some rented movies, chicken and noodles, warm banana bread, and lots of cocoa as well as a full array of movie, plenty of football and piles of books. I've talked about a few of the books I'm looking forward to in 2011 but barely scratched the surface of what I'm anxiously awaiting. The Millions just added even more to my list with Most Anticipated: The Great 2011 Book Preview. As I'm loathe to sign up for any more challenges and because trying to force myself to find books to suit challenges is a sure way for me to fail, I haven't signed up for any of the challenges for reading books from other countries. But expanding my reading outside of books written by U.S. authors is one of my priorities this year so I'm asking for your help. Instead of picking up books just because of where they are set or who wrote them, I'm asking for your recommendations, particularly my readers from outside of the U.S. What are the must-reads? I'm off to make a big pot of oatmeal and raisins to brace us for the day. 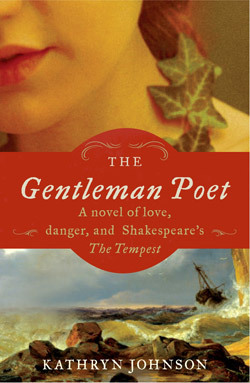 Then I'm off to settle in with The Gentleman Poet by Kathryn Johnson. What are you reading this week? Fairy Tale Fridays - Can You Tell A Fairy Tale By The Ending? As I've begun reading fairy tales, I'm trying to read with an eye toward what things they might have in common, perhaps a moral to the story. This week I began reading from Grimms Complete Fairy Tales, the compilation that my son and his girlfriend gave me for Christmas. I started with the first story in the book, not because it was the first story but because it was The Frog Prince" and I collect frogs. When a princess agrees to become a friend to a frog if he will rescue her beloved golden ball, she doesn't think there will be any way for him to follow her and hold her to her promise. But eventually he does make his way to the castle. When the princess confides to the King why the frog is there, the King insists that the princess make good on her promise. He forces her to let the frog up onto the table and to share her dinner. But when she is forced to take the frog up to her bedroom, she is repulsed by the idea of sleeping with the frog and throws him at the wall. Before he hits the wall, though, he turns into a prince and then marries the princess. What? He marries the girl who broke her promise, whined about keeping it and then tried to injure him? Okay, I know some cases where this really has happened but I don't think of that as much of a moral. Some of the stories don't even seem to have endings. For example, The Golden Key tells the story of a poor boy who discovers a key and an iron chest. After much trouble, he finds the lock, fits the key in and turns it and then..."we must wait until he is quite unlocked it...and then we shall learn what wonderful things were lying in that box." Except we don't. That is the ending of the story. In The Old Beggar Woman an old beggar woman (surprise!) who is always exceedingly grateful for any kindness shown her, gets too near a blaze and her skirt catches on fire. The "friendly rogue of a boy" who invited her to join him by the fire could not find any water but still might have "wept all the water in his body out of his eyes" to put her out. But the story ends without the reader knowing whether or not he did that. Just when I began to believe that there really were no morals to the stories, I read Sharing The Joy and The Sorrow, about a man who abused his wife but was punished by the magistrates, and The Nail, about a man who was in such a hurry to get somewhere that he didn't put a nail in his horse's shoe which eventually caused the horse to go lame and his leg to break causing the man to be very late. The funniest story I read this week was Fair Katrinelje and Pif-Paf-Poltrie. A young man is made to ask permission of an entire family before he will be allowed to marry the youngest daughter. After he has gotten all of the permissions, he asks her about her dowry. She has almost none but that's okay because he has almost nothing to offer in return. Major Ernest Pettigrew (retired) is everything you would except from a gentleman who had served in the British army: proper, honorable, knows his place and expects you to know yours. In the small village of Edgecombe St. Mary, where he has lived his whole life, the Major is beginning to notice small fissures in society. In his own life, the changes are much more profound. Major Pettigrew's brother, Bertie, has just died. While the Major seems to genuinely grieve, he also seems to be equally concerned with what will happen with a gun his brother had, one of a matched set that the Major's father split up upon his own death but which he wanted reunited when anything happened to one of his sons. The fact that his father split the guns has always gnawed at the Major and he is more than a little perturbed when his niece and his own son begin talking about reuniting the guns only because they will sell as a pair for a great deal of money. Money the niece and son are wanting for themselves. Roger, the Major's son, is nothing at all like the Major. As a much beloved only child, the Major's wife spoiled him terribly and he has grown to become someone obsessed with climbing the ladder, particularly in business. Since his wife's death, the Major in finding himself more and more estranged from Roger. But now Roger and his American (god forbid) girlfriend, are trying to become a larger part of the Major's life and he's not very sure he likes that. Bertie's death causes Major Pettigrew to begin questioning everything and to strike up a friendship with Mrs. Ali, the Pakistani widow who owns a village shop. The two quickly grow closer, sharing their feelings about books, the loss of the spouses, and problems with their families. But becoming friendly with a Pakistani, and a shopkeeper no less, causes quite a stir in the society the Major keeps and forces him to make some decisions about the kind of man he really wants to be. Although Helen Simonson now resides in the United States, she is British and brings the village of Edgecombe St. Mary and his inhabitants to life. It is hard to believe that she is not also a man who once served in the British military as convincingly as she writes the character of the Major. But the greatest strength of the book is the way in which Simonson was able to write about the conflict in Major Pettigrew as he was forced to confront his own prejudices and faults. It is a slow process, the proverbial "two steps forward, one step back" kind of change that is realistic but rarely seen in characters in books. There were times in the book when I felt that Simonson fell back on stereotypes for her characters and the big climax was a bit far-fetched for me but I found the book utterly charming. It played like a movie in my head and anytime that happens, I know I'm in possession of a book that will stay with me. Thanks to TLC Book Tours for including me on this tour! For more reviews of this book, check out their site. Our narrator is a woman who has recently moved to a summer rental in hopes of "curing" her of a malady her husband, a physician, is not convinced she has as there are no physical manifestations. His prescribed for her "nervous depression" is to cease all physical exertions, including writing. Once they arrive at the house she is almost entirely limited to time spent in what she determines must have been a nursery. She is convinced that she might do better if she were allowed to work and have more freedom. Instead she does manage to keep a journal, chronicling her thoughts which more and more begin to be about the yellow wallpaper in the room which she initially finds "revolting." Eventually she becomes convinced that there is a woman caught behind the "bar" of the wallpaper and that she must set the woman free by tearing off the wallpaper. 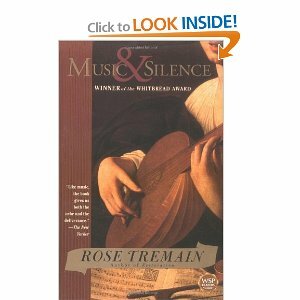 I was first introduced to this story by Care of Care's Online Book Club (her review here). She was clever enough to get me very intrigued but didn't tell me enough to have any idea what the story was about. So - wow! Apparently when Care was substitute teaching they talked about this story and some of the kids said it was boring. Boring? First of all, how can you get bored by something that is only 80 pages (or 28 minutes) long? Maybe it just went by them so quickly that they weren't picking up on what was happening and so thought that nothing much had happened. What did happen to our increasingly unreliable narrator? She mentions a baby a couple of times; perhaps she was suffering from post-partum depression or psychosis, something that people of the time (this was written in 1892) would not have been familiar with. Or perhaps the entire story is a feminist statement about a woman's need to escape from the bars of her life. I'm still not entirely sure what happened in the story but I do know that it was fun to be able to get on to Twitter after I listened to it and talk to Goodreads friends about their thoughts. This is just the kind of short story to make me understand why some people love them so much. This story was included in a volume of short stories on Librivox. I'm eager to try some of the others now. What short stories might you recommend? Chances are I'll also be watching at least one movie adaptation of the book as well. And maybe another book...or two. Happy New Year! I hope you were all able to usher in the new year in the perfect way for you. We spent a lovely evening with friends at their home--good eats, good drinks, embarrassingly bad showing at Beatles Trivial Pursuit. I was all done signing up for challenges for this year. Absolutely done. Was not going to even look at A Novel Challenge. So, of course, you know I did. Where I found about about the 2011 Fairy Tale Challenge, hosted by Tif of Tif Talks Books. How in the world was I going to pass that one up? Since I'm already reading fairy tales for my weekly Fairy Tale Fridays feature, this one should be no problem so I'm signing up for the Happily Ever After level which means I need to read 12 things. There are several other challenges I'm keeping my eye on--I may yet have to sign up for them. But I'll see where I'm at in a couple of weeks before I commit. Couldn't wait for the Bloggiesta being held in three weeks; I had to do some work in my Google Reader this weekend. I haven't been able to keep up with the number of new posts in my reader for the past couple of months and there were several blogs on my list that haven't posted anything in many months. Hopefully I haven't deleted any of you--if I did, please shoot me a comment so I can add you back on the list! Also, I did something I've never done before. I gave myself a set amount of time to read posts today and when the time was up, I marked the rest as read. Need to start the new year with a clean slate! I got a Christmas present this week from my son and his girlfriend. They gave me Grimm's Complete Fairy Tales with gorgeous illustrations from Arthur Rackham. You'll be hearing much more about this book on Fairy Tale Fridays. There are tales in this book that are new to me. Have you ever heard of one titled "Fred and Kate?" What's on your reading agenda for this week? The best books of the year: In a year of quite a lot of really good books, there were a few that stood out. You can see my top ten books of the year on the tab above. 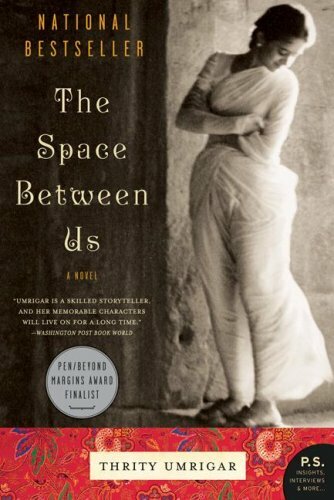 But only a couple of books really stood out as books I loved and two of them belonged to Thrity Umrigar: The Space Between Us and The Weight of Heaven. Also on that love list would be To Kill A Mockingbird by Harper Lee and The Handmaid's Tale by Margaret Atwood. What I read: I finished 89 books this year--29 fewer than last year which is a huge disappointment. But when I changed jobs, I couldn't listen to books on CD at work any more and that accounted for about 20 of my books last year. On the other hand, about 20 of my books this year were childrens books and probably shouldn't even be counted! Challenges: I had both success in challenges (completing the Gilmore Girls Challenge, Our Mutual Reads Challenge, You've Got Mail Challenge and Everything Austen Challenge) and failures. Those failures hurt--I had every reason to believe that I could finish all of them. Books for review: I had absolutely sworn that I was going to cut back on books I accepted for review in 2010. Yet in the end, I read over 50 of them. Some of them were among my favorite reads, but the majority of them were, for me, only good and some were even really bad. There is, of course, a long list of books that were published this year that I didn't get to and am looking forward to reading in the coming year. But I'm most eager to get to the great books that have been patiently waiting for me to get to them that are in stacks and on shelves all over my house. This year I will add far fewer books for review and tours to my reading. Will you all please be kind enough to remind me of that periodically? I'm always afraid I'll miss something great and always looking for those really unique stories. Challenges: So far so good on my goal to cut back on these in the coming year. It helps to be in charge of one of the challenges; I've cut back on the books needed to reach the levels of the Gilmore Girls Challenge and added movies to the options. I'm also participating in the Michener Challenge and the War Through The Generations Challenge. If Our Mutual Reads extends into 2011, I'll do that one as well. That's it. No more. None. Stop me if I even suggest I'm thinking of adding anther one. Fairy Tale Fridays: I'll continue with this throughout 2011. Thanks to Mini-him for the Christmas gift of "Grimm's Complete Fairy Tales." There are a lot of stories in it that I've never even heard of before. Mystery March: This is something that I've been thinking of doing. My mom and dad read a lot of mysteries and have been passing them along to me. It's time to make a dent in those. I know I'll enjoy a month filled with them. After not getting through 90 books this year, you'd think I'd be realistic and cut back and the number I hope to read in the coming year. But 50 sounds like so few and nothing else has that nice ring to it like 100 does. But I'm not going to stress about it. The real goal is to make reading enjoyable in 2011!